Omega Xl - Omega won't refund money nor stop payment withdrawels. I decided to try the Omega XL product and consequently bought the product. Unfortunately when they kept sending me the product and billing my credit card it was much more than I wanted or needed. I called Omega and told them to stop sending the product and they agreed. They even called back and left a message on my phone machine saying they would stop sending the product and post a refund back to my card. They didn't. 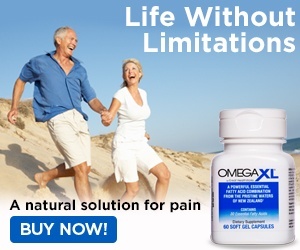 The next month they sent me another box of their product, Omega XL and billed my credit card again. Obviously I can't trust them and therefore have blocked them from my credit card. So now I'm disputing the charge. Next step will be the Attorney General's office. Review #570405 is a subjective opinion of User570405. Seems like OXL has a problem getting people to understand cancel or refund after reading all the lousy reviews. Except of course the ones made by the company reps who it appears monitor this website.